Are you shopping around for cheap places to rent in Toronto, Canada? You may have heard that the cost of living in this city is astronomical. While that’s true, it’s more complicated than you think. 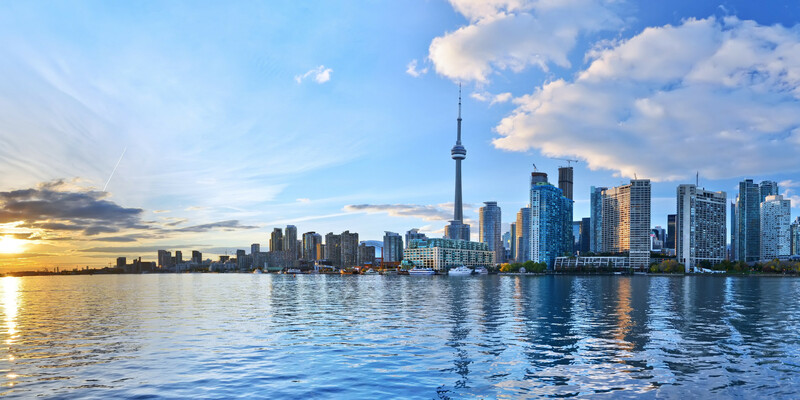 Finding and renting apartments in Toronto is both much easier and much more difficult than normal because of the government’s involvement in the process. Rent is somewhat controlled, but on the other hand, the vacancy rate is low. What are some of the top tips for finding apartments in Toronto that are reasonable in both rent and living situation? First, have an idea of what to expect in terms of rent pricing and increases. Government bodies publish official research on median rent prices in the city; however, the city varies in average price depending on the neighborhood. You’ll likely spend around $1,110 per month for a one-bedroom apartment, but that can go up to $2,199 per month in an expensive area. You should also be aware of the limitations on rent increases. Residential units that have been rented out since before 1991 are required to increase rent only once per year at a government-dictated rate (usually around 2 percent). So when shopping around for cheap places to rent in Toronto, you may want to see if there are older places within your area that fit this description, as anything newer can have rent prices increased somewhat indiscriminately. No matter where you live, however, your rent can only be raised once every 12 months, and you must be given 90 days’ notice (in writing). Understand that you’re in a competitive market. Vacancy rates are almost always less than two percent in Toronto, Ontario. In 2015, the vacancy rate was 1.8 percent. That’s worse than some of the worst places to rent in the US; San Francisco, for instance, had a vacancy rate of 3.6 percent in 2015. So even though rent is somewhat controlled, prices still skyrocket here. Expect a fairly long and competitive application process, and be prepared with pay stubs and referrals. You’ll often need some kind of confirmation of employment (which is often in the form of a letter) and a credit check. Also, you’re most likely going to find apartments in Toronto that are only up for 12-month leases. Because the renters’ market is so very competitive, you should probably raise an eyebrow if you encounter a landlord who seems to be doing things under the table without a lot of questions. Are they trying to avoid some of the stricter laws governing landlords’ practices? As in most major cities, free-for-all sites like Craigslist have been known to host scams. Always visit in person, even after finding the perfect online listing, and take the time to question your new landlord. If it sounds too good to be true, it often is. Get a feel for what’s out there. There are fewer apartment buildings than you might think, though many new buildings are under construction to accommodate the sudden increase in new renters flocking to the city. Converted houses in the suburbs and new luxury condos are often easy to find. It all depends on what you’re looking for. High-end condos tend to have more services like gyms and concierge services, but they are very tightly packed in the city and have astronomical prices. Remember that the average rent prices are usually not the explanation for the high cost of living: Taxes and high prices for everything else are. Don’t blow your entire budget on your living situation. There are numerous laws protecting you as a tenant that you should consider when renting apartments in Toronto. Apart from not suddenly increasing rent within a year, a landlord is limited in when they can enter your apartment and often cannot shut off a vital service like water or electricity. Familiarize yourself with this region’s laws before moving in. These are some tips for how to find an apartment in Toronto. If you need help in your search, feel free to contact an expert rental agent through Jumpshell, who can broker a deal and find the best new flat for you!